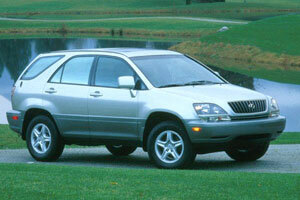 Is the First Generation Lexus RX the Perfect First Car for Teenagers? The Truth About Cars has called the first generation 1999-2003 Lexus RX “the perfect first car” for teenage drivers, and explain their choice with a funny list of reasons. dhgjatg: it also looks more ricey, which what kids like. emptystreets130: How is it ricey? The IS300 is not ricey at all and is more preferred over the IS250/350. LexusLVR: In stock form it's not ricey, but I've sadly seen a number of ruined 1st (and even 2nd) generation ISs in my area. Pure Electric Lexus ES Prototype Spotted in Japan?